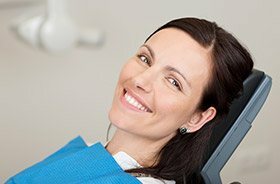 At First Line Dental, we believe that every patient deserves to be made a top priority. That’s why our team works hard to build trusting, one-on-one relationships that stand the test of time. Dr. Stanko is our experienced general dentist who sees patients of all ages, while Dr. Lim provides quality orthodontic solutions for children and adults alike. Together, they look forward to providing you with expert dental care in a relaxing and welcoming dental office. Have questions for us? Would you like to schedule a first appointment here in Manchester, CT? Don’t hesitate to contact us today by phone or the form below to requests a visit. You can also keep reading below to learn more about how we go above and beyond to inspire smiles. 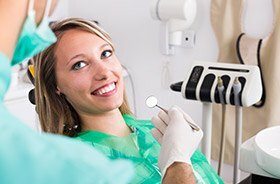 We understand that going to the dentist can cause anxiety for some patients. Our team works hard to make your experience as enjoyable as possible by greeting patients by name, answering any questions you may have, and assisting in any way possible. Our empathetic dentists and entire team focused on your care and office experience. The dental field is always improving for the better, and our doctors and team members strongly believe in continuing education and training. We’re regularly investing in new technology to provide the best quality care. Our goal is to provide healthy, confident smiles for life. It can be a true balancing act to find time for important healthcare appointments, especially with a busy schedule. At First Line Dental, we offer patients much-needed flexibility with evening appointments Monday through Thursday from 8 am - 8 pm, and we're also open 9 am - 5 pm on Friday and Saturday! This means that important dental care can be scheduled when it’s most convenient for you and your family.